The William Hill-sponsored St Leger is the oldest of the five British flat racing Classics, as well as the longest in trip. Run at Doncaster racecourse and over a distance of 1m6f it’s a race for 3 year-olds only. This contest is often targeted by horses that ran in that season’s Great Voltigeur, with 6 of the last 16 winners having ran in that York race before winning this, while in recent years with seen 7 winning favourites in the last 16 runnings. 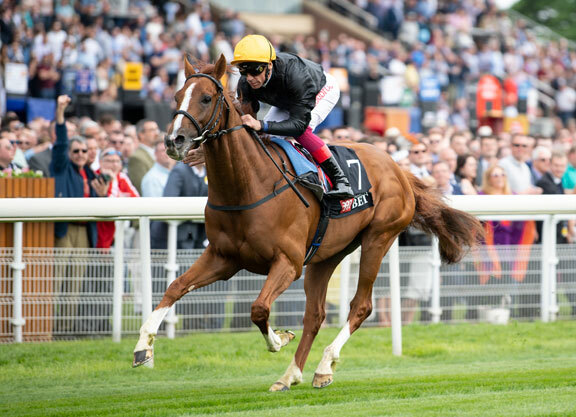 Look out for John Gosden-trained horses as this powerful Newmarket stable has won the race three times in the last 16 years, while top Irish handler – Aidan O’Brien has saddled the winner of the St Leger five times, including last year with Capri. Also note any Godolphin-owned entries as they these famous blue silks have won the final English Classic of the season a staggering six times! Here at TRAINERS-QUOTES we’ve got all the key stats ahead of the 2018 renewal – this year run on Saturday 15th September.